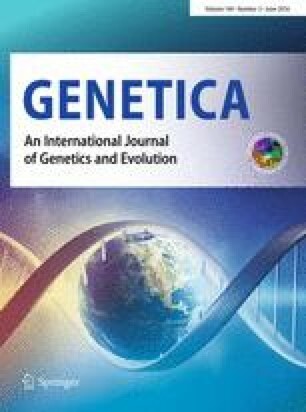 Chromosomes of Acheta domestica were studied employing conventional Giemsa staining and fluorescence banding methods. The Delhi population seems to be characteristic with regard to the distribution of the C-bands and centromeric positions in the chromosomes and differs from those of European and American populations. Further, on the basis of base-specific fluorescence studies, it is speculated that the A-T/G bases are probably evenly distributed in the chromosomes.